Peter Reiss is Professor of Medicine at the Amsterdam UMC in Amsterdam, the Netherlands, where he holds a joint appointment in the Department of Global Health and the division of Infectious Diseases. 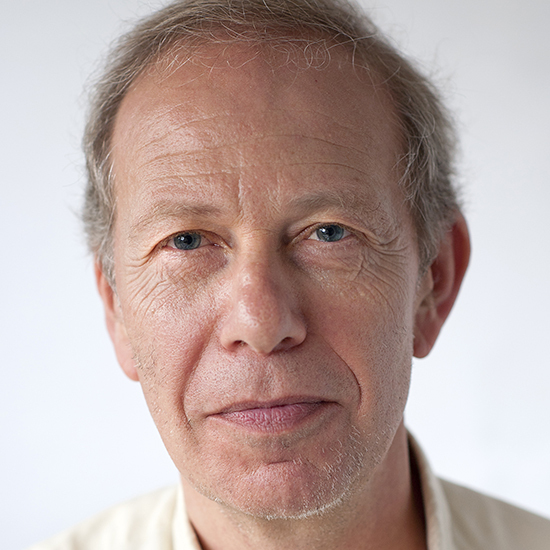 Peter Reiss has been Director of the Netherlands HIV Monitoring Foundation since February 2013. He also serves on the Scientific Advisory Boards of the Agence Nationale de Recherches sur de Sida et les hepatitis virales (ANRS) and the Swiss HIV Cohort Study, as well as on the Steering Committees of the D:A:D study, the Antiretroviral Therapy Cohort Collaboration and the EuroSida Study. In addition, Peter Reiss was until recently one of the four rotating scientific coordinators of EuroCoord. Dr. Reiss is clinical HIV section editor for Antiviral Therapy and editorial board member of a number of other journals. He also served as President of the European Aids Clinical Society (EACS) from 2008-2012 and continues to serve on the EACS Governing Board. Until 2014 he served as the European and Central Asia regional representative on the Governing Council of the International AIDS Society (IAS), and he currently serves as local co-chair for the next International AIDS Conference to be held in Amsterdam in July 2018. His current research focuses primarily on the complications of HIV and HIV treatment, and more particularly in relation to aging. Cross-sectional comparison of the prevalence of age-associated comorbidities and their risk factors between HIV-infected and uninfected individuals: the AGEhIV cohort study. Low bone mineral density in patients with well-suppressed HIV infection: association with body weight, smoking, and prior advanced HIV disease. Higher Prevalence of Hypertension in HIV-1-Infected Patients on Combination Antiretroviral Therapy Is Associated With Changes in Body Composition and Prior Stavudine Exposure. Increased brain-predicted aging in treated HIV disease. High Cellular Monocyte Activation in People Living With Human Immunodeficiency Virus on Combination Antiretroviral Therapy and Lifestyle-Matched Controls Is Associated With Greater Inflammation in Cerebrospinal Fluid. Booiman T, Wit FW, Maurer I, De Francesco D, Sabin CA, Harskamp AM, Prins M, Garagnani P, Pirazzini C, Franceschi C, Fuchs D, Gisslén M, Winston A, Reiss P, Kootstra NA; Comorbidity in Relation to AIDS (COBRA) Collaboration .